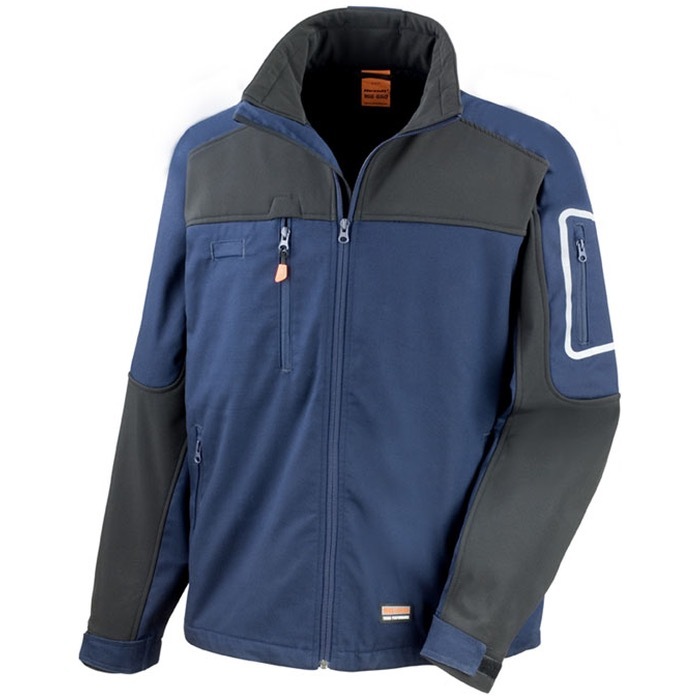 This Result Work-Guard R302X Sabre Stretch Jacket is a high performance jacket with an expectation of long work life. It has 3000mm waterproof fabric and is also windproof thanks to its adjustable shock cord stand up collar with chin guard. The collar is also lined with soft feel microfleece. Also for wind protection features long back panel and full front zip and zipped chest, sleeve and front pockets. Other pockets include integral pen pocket. The comfortable cut of the garment is designed for movement.